In our impressive collection, there are lots of lovely white tones to choose from. Plump for soft snowy shades, chic chalky colours or whiter than white Pleated blinds. 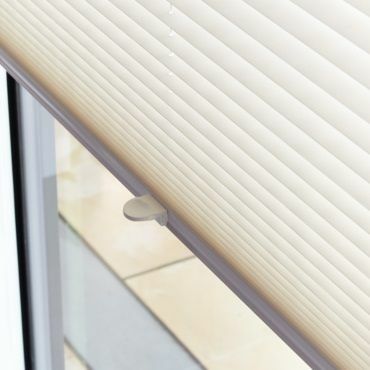 Whichever shade you choose, your white Pleated blind will stand the test of time. Although whites are crisp, they’re far from cold. In fact, our thermal white Pleated blinds keep things cosy. Within our range of performance fabrics, there are also clever blackout options to reduce unwanted light. Here at Hillarys, we know you’ll love our Pleated blinds, but don’t just take our word for it. Arrange a no-obligation free home appointment and find out for yourself. During your chosen time slot, your local advisor will bring samples of our collection to your home for you to browse at your leisure. 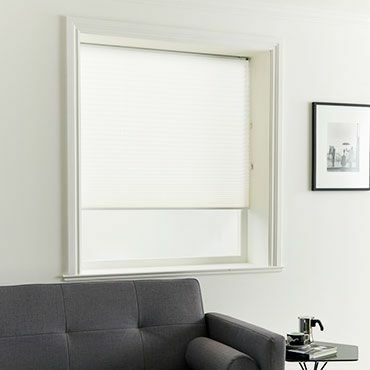 Your appointment also provides a great opportunity to ask your expert advisor about the ways that you can personalise your white Pleated blinds. 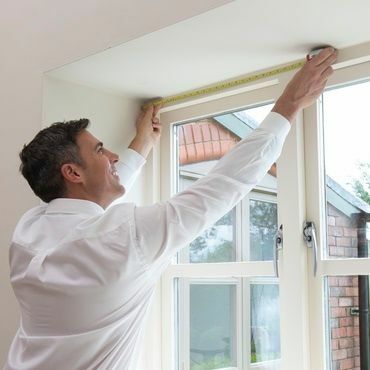 For example, you could have them fitted in PerfectFit frames, or select an innovative TriliteTM Top-Down, Bottom-Up or TransitionTM Day and Night design.